Cambridge University Press Bookshop opened in 1992, but the shop itself has been around for a great deal longer and selling books all the while; since 1581, in fact. Passing from hand to hand over the centuries, 1 Trinity Street was taken over in 1846 by Daniel and Alexander Macmillan who employed their nephew, Robert Bowes, as an apprentice. He would later become partner and eventually take on the premises. The shop remained Bowes & Bowes until 1986 when it became Sherratt & Hughes before Cambridge University Press took it on in 1992. We are still going strong today, showcasing around 50,000 different titles in the shop. In 2008, we expanded round the corner into 27 Market Hill where we opened our specialist Education and English Language Teaching shop the following year. We are proud to continue the fine old tradition of selling books here and contributing our bit to the fine history of 1 Trinity Street. As I write this, it is March 19th, and we in Cambridge have had a funny old month so far, weather-wise. It’s a beautiful, bright day today, though (if freezing! ), and I for one am very glad for the sunshine! So, in the spirit of Spring, I ask you, “What better way to welcome spring than with a good bit of Victorian and Edwardian House and Garden? !” Okay, bear with me….. These books that I’m celebrating this month are very much the lifestyle blogs of their day and would not look out of place getting a trillion hits today from keen internet-readers looking for ways to refresh themselves for a new season, or find lists of hints and tips for their personal and domestic edification. Unfortunately for these admirable writers, they died many years before the rise of the blogosphere, so maybe I can do my bit for inter-century relations and help to draw a new generation of readers into their charms. So grab your whitewash and galoshes, replace your smartphone with a pocketbook, and travel back with me for some self-improvement motivation Victorian-style! 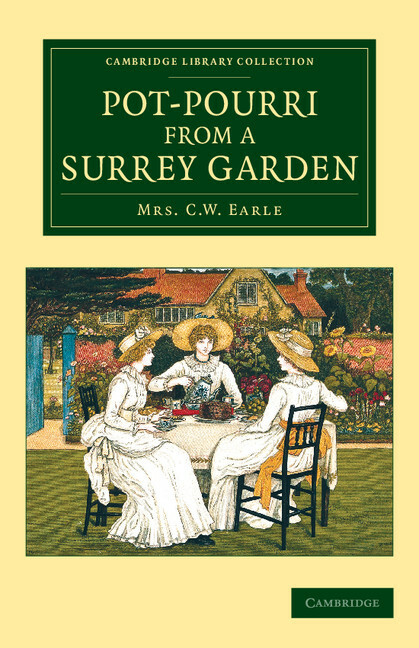 The first book I’d like to share with you is Pot-Pourri from a Surrey Garden by Maria Theresa Villiers Earle (1897), minor aristocrat and practical advice-giver. 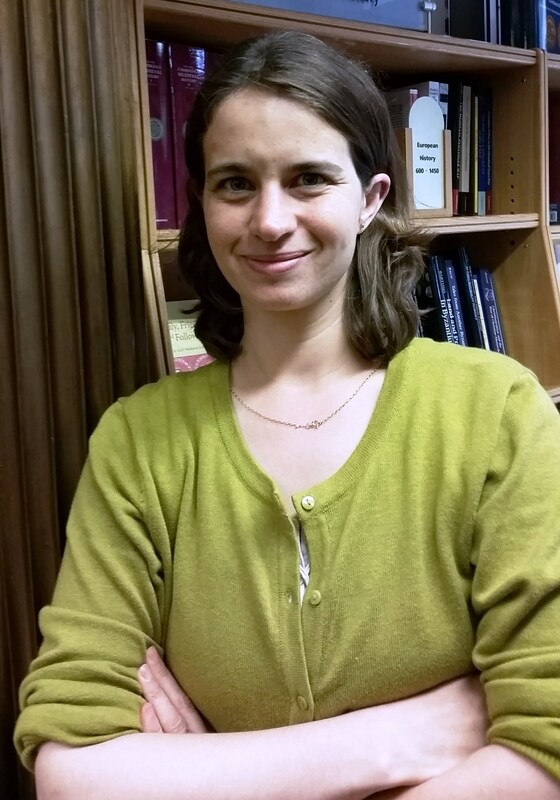 Like many of our modern-day bloggers she is keen to clarify her reason for writing and the contribution she is making to the spread of advice and information: “if such desultory notes prove to be of any use to you or others, so much the better”. 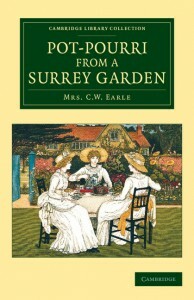 Despite this modest opening, Earle proved to be a prolific writer and this is in fact the first of three books her “Pot-Pourri” published in the Library Collection and contains a wealth of seasonal observations and lively anecdotes of Victorian upper- middle-class life. 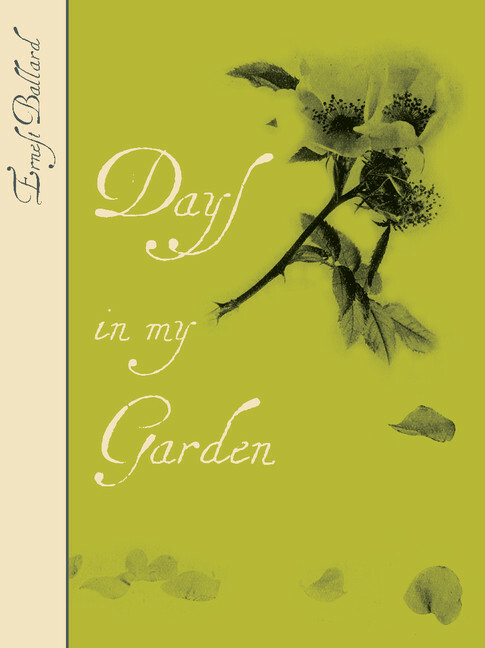 In the first part of the book she records her life over the course of the year, with recipes, plant recommendations, and practical gardening tips. She also shouts out to fellow authors and suggests similarly inspirational books to her own (in December she is delighted to introduce her readers to the Guardian column of a “Miss Jekyll of Munstead Wood, Godalming”, more of whom later….). She is also an extremely practical sort of lady, discussing the furnishing of houses in a way that resonates with every upcycling thrift shopping article I have ever read, issuing rallying cries to her fellow keepers of houses that get to the core of bargain hunting. She doesn’t shy away from parenting advice either, offering eternally relevant gems on the parent-child relationships that are most comforting! We’re all doing fine – it was ever thus! Another of our proto-bloggers and one who made a great career out of her domestic hints and tips, was Jane Ellen Panton. Beginning with a series of magazine articles, she went on to publish several books with intriguing names like Homes of Taste, From Kitchen to Garret, and Nooks and Corners, before embarking on a career as what would now probably be called a lifestyle coach. Apart from making me want to write a study of Tomes of Haste, these books also make me want to find out more about what our Victorian foremothers have to teach us today. 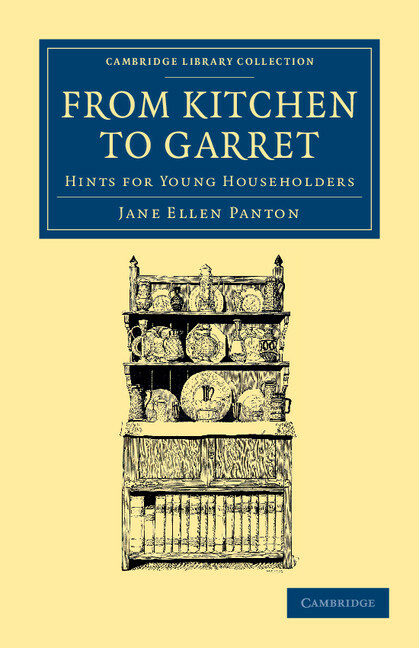 In From Kitchen to Garret (2nd ed. 1893), Panton gives us her model young couple, the delightfully named Edwin and Angelina. 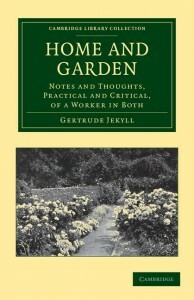 Each chapter of the book is devoted to a different part of the house, covering every possible problem that poor, naïve Edwin and Angelina might ever encounter in their middle-class domestic establishment; the horrors of “Philistine” wooden bedsteads, and “how to circumvent that terrible butcher, or that still more awful laundrywoman”. From here in the twenty-first century there is much to find amusing (not least the word “throbbing”), plenty to find outdated (notably her dismissal of “stupid women” with their “assertions of women’s rights”), but also quite a lot that really ought to be in a curly font on Pinterest. Continuing in this positive, ebullient vein, I invite you to consider Days in My Garden, by Aster-breeder and Michaelmas Daisy king, Ernest Ballard, whose chapters on “A dead bunny” and “the beauty of winter days” are some of the most charmingly affecting things I have read of late, particularly when you consider the historical context of the book’s publication in 1919. Here is a man who LOVES his garden and delights in the natural world he observes all around him. Even seemingly small, insignificant experiences are celebrated for the fortunate, life-affirming events that they are. His joy is infectious; I defy anyone reading this book to fail to be moved by Ernest’s enthusiasm and deep spiritual connection to the earth. Last, but by no means least, let us turn to the great Gertrude Jekyll, whose Home and Garden (1890) is not only a truly useful and practical gardening manual, but also a fantastically idiosyncratic work, collecting together the great garden designer’s musings on such topics as Pinkieboy and Tittlebat (two of the much-loved “pussies” about whom she waxes lyrical) and the comforting delight of familiarity with the workings of engines and the tools of manual labour which she developed as a child in the workshop. Surely there is nothing wrong in these furious times just to pause for a minute, take a leaf out of our predecessors’ books, and look around us to delight in the small things for a while?